Fresh off a long morning bike ride through the serene hills and vast farmland surrounding Michigan International Speedway, Jimmie Johnson spent the hour before opening practice for Sunday’s FireKeepers Casino 400 (2 p.m. ET on FOX, MRN and SiriusXM NASCAR Radio) doing a couple media one-on-one interviews by his motorhome in the infield parking lot. Dressed in jeans, a polo shirt and a baseball cap, the seven-time Monster Energy NASCAR Cup champion freely discussed his quest and full expectation to return to Victory Lane for the first time in a full season’s length of races. He was optimistic and confident about the quest to find a new sponsor for his No. 48 Chevrolet for the first time in his career and he was open and reflective about the changing circumstances of competition and expectations. “It’s on, I can’t help myself,” Johnson said smiling at the notion of ever turning his mind off or even away from the huge expectations of himself and of his many fans. Even when you reel off a historic record-tying seven championships – including an unprecedented five consecutively from 2006-2010 – and even when you win 83 races; one shy of tying NASCAR Hall of Famers Darrell Waltrip and Bobby Allison – the competitive focus is on what will you do next, not, what you have done. Johnson accepts that, embraces it and thrives on it. It’s part of what has separated this laidback Southern Californian talent from the rest. He concedes that this season, in particular, has challenged his competitive ire. And even his patience. Since his rookie campaign in 2002, Johnson has won multiple races every season – highlighted by a 10-trophy haul in 2007; the second season of his historic five-championship run. Last season he had three victories, the last coming at Dover International Speedway on June 4, almost exactly a year ago – and it is currently the longest time between wins in his career. Getting a handle on the new car, new teammates (Alex Bowman and rookie William Byron), a new shop set-up and getting news that your longtime sponsor won’t return has unquestionably presented a daunting set of single season obstacles. No matter the circumstances, social media trolls continually remind Johnson of this first-of-his-career span between victories. Even though, no one is more aware than he is. “I’ve never worked harder but I’ve also never been more excited to work,” Johnson said. “I don’t know if that’s age, what it is. Some of my frustration comes from the wonderful people on social media who want to think that I don’t have the heart or desire. It’s like, you don’t even know me. Just stop. I’ve never worked harder or enjoyed it more than I do now. “I do (see the gains). But summer stretches are tough on us, that’s out there. But we can rally through that and keep building through the summer stretch. After his last win – at Dover last June – Johnson closed out the season with eight finishes of 24th or worse, three times he was 35th or worse. A rough start in the 2018 season-opening Daytona 500 (he crashed and finished 38th) followed. That was compounded by a 27th-place finish the next week at Atlanta and then a crash a couple weeks later at Texas Motor Speedway, where Johnson is the all-time winningest Cup driver. The only Chevrolet Cup victory this season was on Austin Dillon’s last lap pass in the Daytona 500. For the teams – which switched to the Camaro ZL1 body this year – it’s been a wholly expected learning curve. And across the board, Chevy drivers say they anticipate an uptake on production. Effort has never been a problem. Chevrolet’s Kyle Larson – who has won the last three Michigan races – has three runner-up finishes in 2018. Johnson’s teammate Chase Elliott has three finishes of third or better this season and was the fastest Chevrolet in Friday’s opening practice at Michigan. Elliott has three runner-up finishes here too. Statistically speaking, it’s obvious the improvement of Johnson’s team. 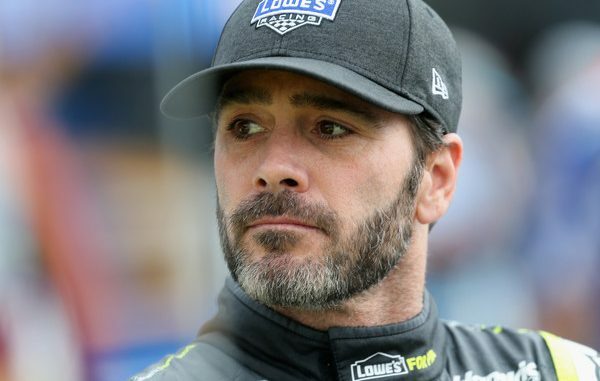 He scored his best finish of the year (third-place) at Bristol in April and worked his way into the championship top-12 a week later with a sixth-place at Richmond. 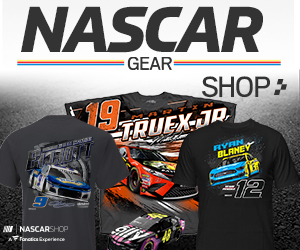 He has three top-10s in the last four races, including a fifth-place finish at Charlotte and an eighth-place at Pocono last week. “We’re getting there, we’re seeing the gains,” Johnson said. “The way we have converted our operation and all four cars in the same spot, it’s pretty obvious when we’re on or when we’re off. All four cars carry the same speed either good or bad, so that does bring a little bit of comfort from the driver standpoint, even from a veteran’s standpoint. It’s a historic lesson in championships – what separates the best. Now 18 years into his certain first-ballot Hall of Fame career, Johnson would concede the winning edge is as much mindset as it is driving hard into a corner. To that end, Johnson shared that his team has adopted a “locker room” mentality – involving all his teammates – a reinvigorated way of approaching races and outcomes. “It’s easy when things are going good but it’s tough when they aren’t going well,” Johnson said. “We didn’t end last season very well and I felt like the locker room piece is something important for me and that environment is important for me to be relaxed and free and to feel and sense the car and communicate with my team. Certainly no one feels more eager, anxious and overdue for a win than Johnson. Celebrating in Victory Lane has been the norm for his once-in-a-lifetime career. Yet this recent stretch has been both a grueling test and learning opportunity. It’s evoked strong memories for Johnson himself forced a personal reassurance that as he has many times before, Johnson will right the ship. And that 84th win may well feel like the first – hard-earned and mightily cherished. “One thing that does come to mind is the “cycle of things,” Johnson allowed, thinking about his competition situation. “I have been in this place emotionally and mentally many times in my career, it just wasn’t in the Cup spotlight. Success on a dirt bike led to opportunities with off-road racing. And things went pretty well there in the lower divisions but then in the higher divisions I was racing against the best of the best and I wasn’t winning much. “I did have the up-moments racing for the Herzogs and my off-road trucks – but then transitioning into ASA and stock cars my Xfinity days were really tough. And what I’ve been going through recently reminds me of my Xfinity days. “So to me, it’s more the cycle. As you’re falling down into that valley there’s a point where you can lose confidence and it doesn’t matter if you’re a seven-time champion or someone else, it can happen. But I feel like I’ve come through the bottom and built my confidence back up. “I know it’s not all just me and I’m starting to climb that mountain again. It’s wild how those cycles go and I can trace it all the way back to being eight-years old on a dirt bike.